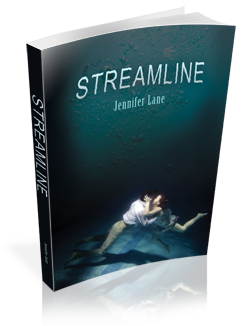 So today, author and fellow Buckeye Jennifer Lane is releasing her contemporary YA romantic suspense novel, Streamline. I just started this book yesterday afternoon, and let me tell you it’s a page turner. It’s an emotionally-heavy read, something a little out of my norm as I don’t typically read what you might consider “issue contemps,” but Lane has done such a wonderful job of investing me in Leo and Audrey’s story and in discovering its outcome. Their story holds a lot of heartache, but also a lot of hope as Leo and Audrey navigate through their family drama, their relationship and their senior year of high school. Stories of redemption interest Jen the most, especially the healing power of love and empathy. 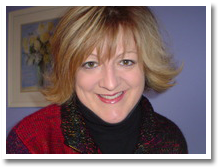 She is the author of the Conduct Series—romantic suspense for adult readers—and is currently at work on the third and final installment: On Best Behavior. Streamline is her first foray into writing for young adults, but she’s found this sort of writing even more fun. A former college swimmer, Jen was able to put a lot of her own experiences into this book. I was so excited the second I heard about this book because I started swimming competitively when i was 7 and swam all through H.S. Can’t wait to read it. Thanks for this awesome giveaway Dani. Wow, that’s a long time competing! I believe Audrey’s character also starts competing around 6 or 7. Do you still swim regularly? Thanks so much for checking out the launch party Kate! Hey Dani, thanks for joining the party! You’re definitely correct that this story has major “issues” (i.e. DRAMA!) but I’m glad you’re finding it to be a page turner. Can’t wait to meet you on Saturday, fellow Buckeye. My pleasure! It’s a fantastic book And yes, looking forward to Saturday! Sounds like a great premise! I used to swim competitively so I know all about the drama that can ensue. Very cool! The competitive swimming world is one that’s kind of foreign to me, but it’s really interesting to read about. Thanks for stopping by Vivien. Good luck! Oh, must read this book since I am from Pensacola:)) plus it looks awesome! Thanks for the giveaway! I always like reading books that are set in a place I’m familiar with And yeah, Jennifer’s offering some really cool stuff in this giveaway, huh? Thanks so much for stopping by and good luck in the giveaway Heather! Gorgeous, isn’t it? And it fits the tone of the book so well. I can’t say that I’ve read a lot of books about swimming. This should be interesting! I know. This world of competitive swimming is not one I’ve really read about before. I liked the uniqueness of the setting. Thanks for dropping in Mandy! Both these characters have such interesting back story. Sad and yet I want to see how they endure it. I have to admit, the first thing that attracted me to the book was the gorgeous cover and title…but beyond that, it sounds like a really interesting psychological thriller, and I always love those. Wow that cover I love it! Also the premise sounds interesting sounds like it will be full of drama which helps keep a reader turning the pages. This sounds like a great book. I have varied interests in reading material and the cover just draws you in. Thanks for hosting this giveaway! You know, I’m really not sure why I want to read this. I really don’t read that much contemporary, but it just sounds like something I *want* to read! So that’s that. I want to. I also really like the cover. Also, whats up with their fathers?! Also, since I’m a military brat, I’m drawn to books with any military aspects to them. I don’t see much of it in YA. Great cover. Great premise. Why wouldn’t I read it? I’m a swimmer. And this book sounds really interesting! I like YA books and this sounds like a good one. My daughter was a swimmer in h.s. and I think she would like this one as well. It seems like a really good book! I really enjoyed the excerpt. Definately going on my TBR list!! Thanks! I like the idea of mystery and romance in the book. I do enjoy romantic suspense. It sounds like a book that my daughter and I both would enjoy. First: the cover is amazing! I love mystery and romance. Gorgeous cover! Love how both are dealing with their own issues and find love with each other! Wonder if this will end well or not. I prefer reading contemp YA books, so this seems perfect for me. And it sounds very interesting. Thank you for the giveaway. I would love to win this book. First of all I love to swim and the they are both on the swim team. I love the cover and the book just sounds like a really good read. Thanks for the giveaway. Interesting. Love the cover. I’m not sure this book is for me, but it still sounds like a great read. I read the summary and I’m really interested in the book. I can’t wait to read it! I’m definitely putting this one on my TBR. this looks like an awesome book. I’ve actually been waiting for this book to come out for some time. Beautiful cover, and the summary sounds interesting. Thank you for the giveaway. I love the cover and the excerpt wet my appetite. This sounds like a great book.